Are you a list-maker? Do you have a planner that’s worn from all the use it gets? I totally am and I totally do. Probably because my brain has left the building since I became a mom. (It is a thing. For sure.) So, lists and planner notes are essential to remembering anything these days. I know a lot of people rely on apps like Google calendar now, but I am old school. I need a tangible calendar in my hands. Bonus points if it’s pretty. Adopted our boxer Hudson, September 2010. Aven Harper’s birth day, 9 lbs 4 oz & 21 inches, February 2014. Aven’s first steps today!, February 2015. I love the Gratitude box at the end of each week; it’s an intentional way to reflect back on the blessings from the week. 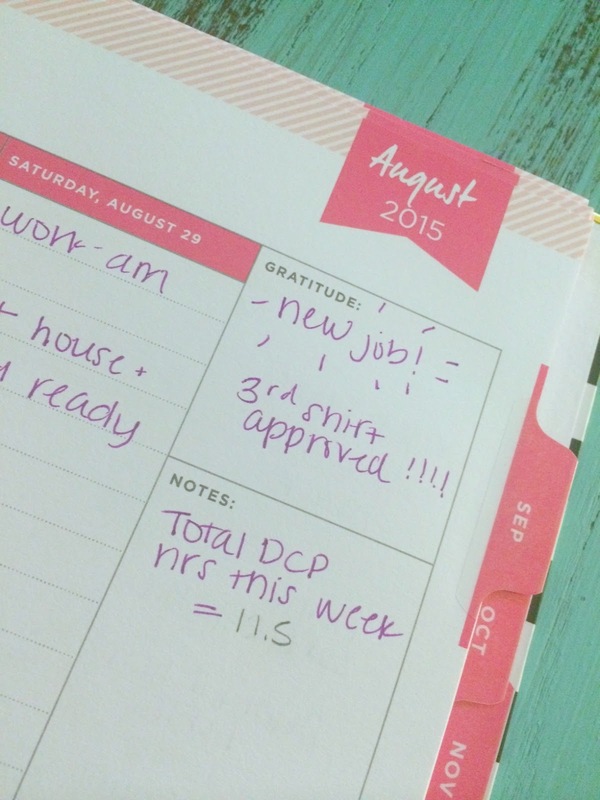 – Get rid of your Post-It notes and keep track of small reminders on the pages of your planner. – When you get a party invite, copy the address and all other pertinent info into your calendar and then toss the invite itself. – Or if you want to keep that invite for sentimental reasons, tape it into your planner. You can even do this with keepsake notes from your spouse or doodles from your child, which prevents them from piling up in a storage container in the attic. 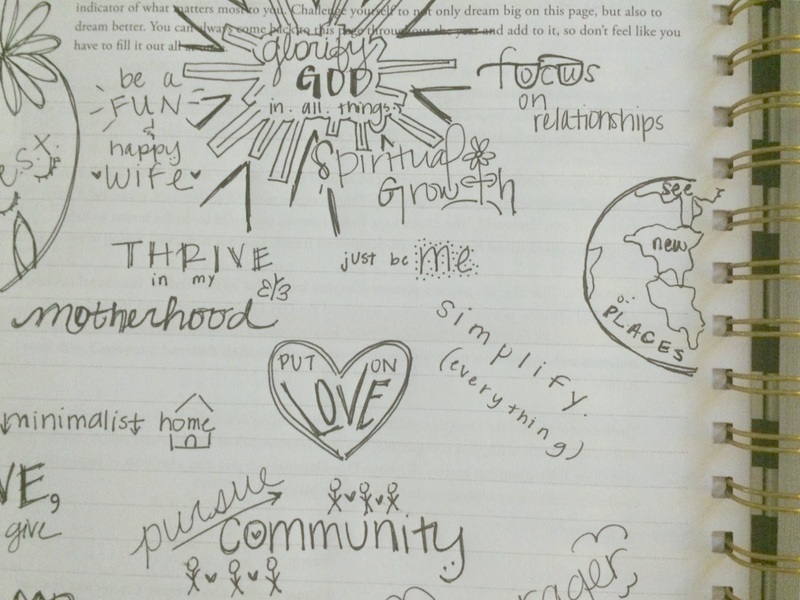 – Have a master to do list on one specific page of your planner. Add and check off items as you go. It’s a simplified way to track the every day, the significant, and the significant found WITHIN every day. 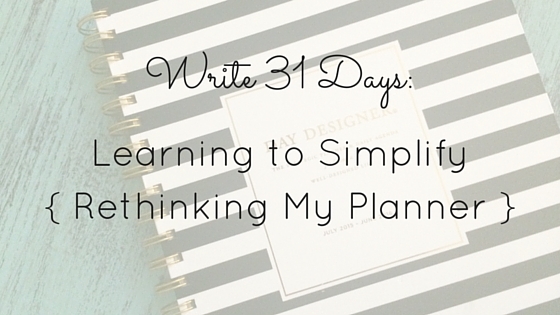 You don’t have to be confined to the typical ways a planner is meant to serve and simplify your life. On the first empty page of the planner I doodled a brainstorm of personal goals for the upcoming year. This is the page I flip to when I need a reminder of my purpose or if I need to think through a decision I’m having a hard time with. 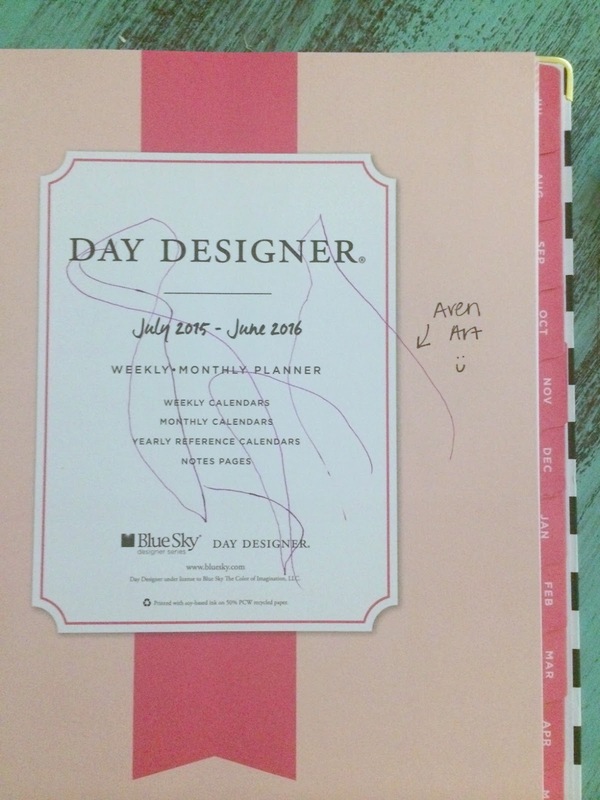 My current planner is a thin and simple version of the Day Designer. It has a section for to do’s every day and a gratitude box at the end of every week. I’ve also heard great things about Erin Condren planners.